Finally, I got the chance to review this beauty from Logitech. 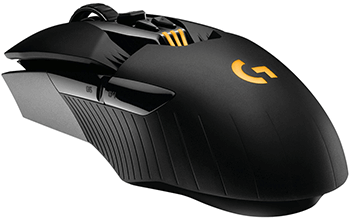 The Logitech G900 Chaos is one of the best gaming mice you can find at this particular moment if you are in a search for a new mouse. Logitech has a wide variety of different gaming mice, but this one is on top of many lists just because it has the perfect price for the set of features it offers. For a high-end gaming mouse, you get everything for your money. Unlike other gaming mouse models, where Logitech disappointed us, this one is diverse, feature-rich, and it truly represents the Logitech brand. The feel while using is one of the crucial features when buying a mouse; we will start with that particular information. We have used it, and it’s comfy, and you will not get tired while using it for long hours. The Logitech G900 has Pivot Button design and unique form. You can customize the physical buttons and because of the ambidextrous design, it can be easily used by left or right-handed users and basically any mouse grip style. Because of the amazing design by Logitech, this mouse is consistently fast, perfectly accurate, and the click feel is just as it should be: crisp, precise and fresh. It’s the first time that I have seen a mouse with this kind of shape. I have big hands so it’s very uncomfortable for my hand when I’m palming the mouse. The mouse is built for those gamers who are used to the claw grip, like I am. When you first look at it, you’ll get the sense that this gaming mouse is one of those ultra-modern, futuristically designed shapes that most gamers would adore. It indeed looks compelling and can go in tone in basically any gaming environment. 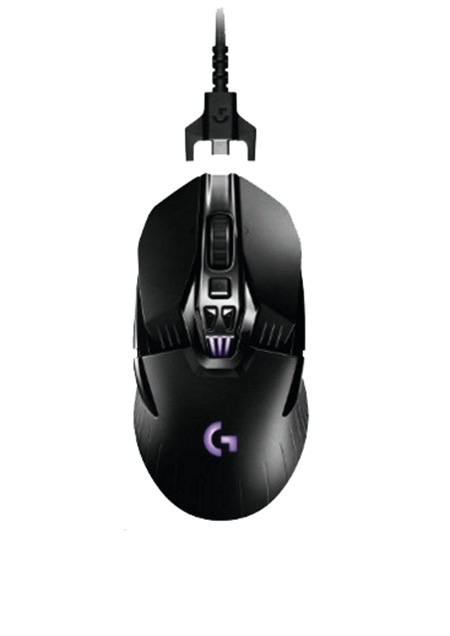 The Logitech G900 Chaos Spectrum is ideal for eSports gamers just because Logitech puts great effort to make it a truly professional gaming mouse that can be wireless or wired. Performance wise, it is one of the fastest gaming mice gamers will ever use. The speed and responsiveness of the mouse are due to the Pixert PMW3366 optical sensor. This sensor is one of the industry’s finest because of the exceptional tracking accuracy, which is considered as one of the best gaming mouse sensors. At 200-12,000 DPI, there is zero smoothing or filtering, and tuck makes the mouse responsive and enables control at any speed. As always, I’m testing the mice with CS:GO games, and I have to say that Logitech did it again! If you want my personal opinion, then the Logitech is so far the best wireless gaming mouse of 2016 for FPS games. Amazing feel and very responsive. I really like the scroll wheel with this whole alike design, which is actually a part of weight reduction measure. One last thing about the scroll wheel is that it finally has a left and right scroll-click beside the regular middle click, which is a rare sight in this segment. It wasn’t useful while I tested it on CS:GO and Day Of Defeat but certainly in productivity. 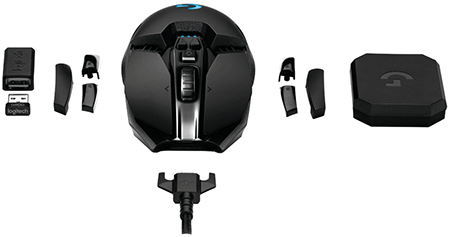 On top of all of these features, the Logitech G900 has one of the longest battery lives you will find in a gaming mouse, with more than 30 hours on a single charge. While I was testing the mouse, the battery was done after 27 hours of use and that’s still pretty substantial, if you ask me. It is the gaming mouse with the longest battery life of gaming mice that weighs 3.9 ounces or lower. While I was writing this review, I didn’t use the mouse for over 30 minutes. After 30 minutes, the mouse was automatically went into sleep mode. When I touched the mouse again, it took me less than a half second to have the mouse fully functional and ready to use, which is pretty amazing. You can easily enjoy long nights and days without even having to charge it. You can use the Logitech G900 Chaos Spectrum on almost any Windows version, I tested it on Windows 7, 8.1 and 10, and it worked smoothly without any problem on all 3 systems. Although this is one of the newest creations of Logitech, we doubt that you will find a better designed and feature-rich mouse than this one, even though it doesn’t have so many reviews by users. It is still a new mouse, but that doesn’t mean it is low quality or not good. 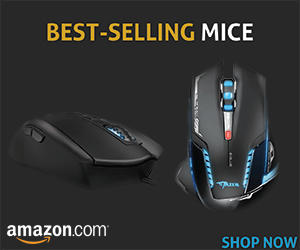 Contrary, it is one of the best new gaming mice for that price range. With amazingly neat and functional design, great feel of usage and clicks, and one of the best sensors in the industry, the G900 Chaos Spectrum will be a serious player in the gaming mouse industry this year. Not an Avago Sensor, the PMW3366 is made by Pixert. Thank you @Jootunn:disqus that little mistake is corrected to Pixert!